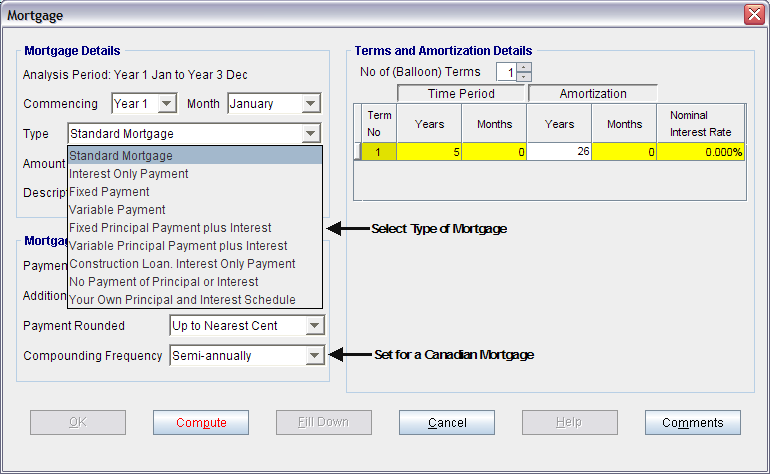 It’s easy to enter even complex mortgages. Simply select the payment option, select fixed and variable interest rates and whether you want to make additional payments or borrowing. 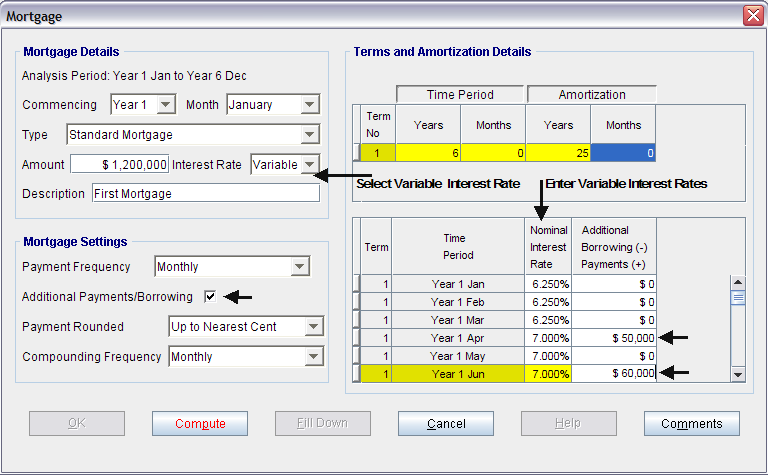 The following shows how easy it is to set up a Standard Mortgage with Variable Interest Rates and additional monthly payments.